Get creative decorating your apparel and accessories with the glamorous Rhinestone Starter Kit from silhouette. 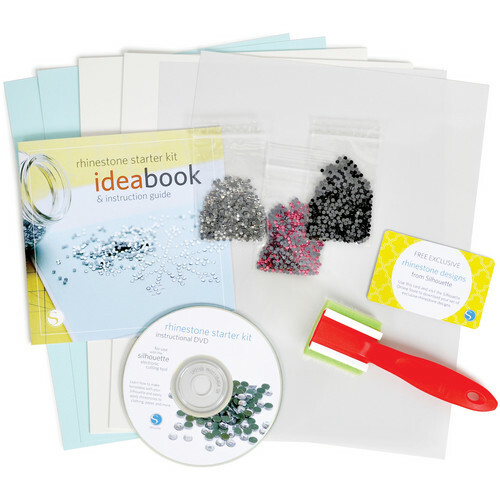 This kit contains all the materials you need to get you started, from template material and rhinestones to an instructional DVD. Box Dimensions (LxWxH) 11.7 x 9.05 x 3.0"